Simple yet elegant lifestyle awaits in this stylish one bedroom condo with spectacular views of downtown and Parliament. Finished with hardwood flooring and with, as expected, granite and stainless, this immaculate virtually new unit on the 21st floor will appeal to all. This building has a Sobey's grocery store on the ground floor, a gorgeous pool, gym, party room and rooftop terrace. Two guest suites are available for rent. 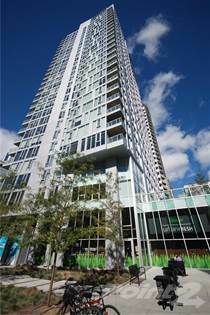 This prestigious building is located in the heart of downtown, steps to shopping, transit, Elgin St, the Byward Market, Rideau Centre and both universities. Hi, I'd like to find out more information about 179 Metcalfe St. Thanks so much!